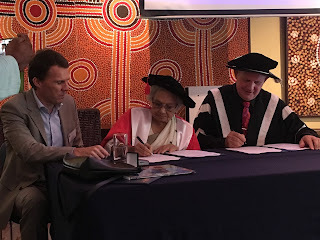 Now more than ever before, emerging global superpowers China and India are looking to Australia for higher education opportunities.But worldly international students want more than just a degree – they want a diverse experiences, and opportunities to build life-long networks, as part of their antipodean adventure. 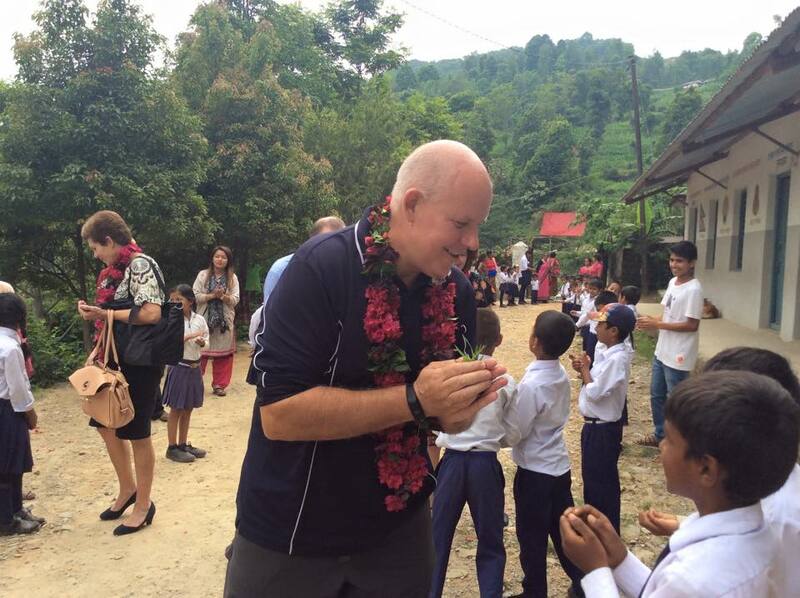 Visiting India and China this week, the higher education leaders we’ve met in both nations are determined to forge partnerships to give their students international opportunities that will stand out from the crowd.In countries where you count the population by billions, that’s no easy feat. Sure, just over half of higher education students coming to Australia seek out Group of Eight institutions.But that leaves more than a quarter of a million prospective students every year, less seduced by a prestigious name, and more determined to diversify their CV. It’s also important to note that 26 per cent of international students last year were gaining vocational qualifications, and another 21 per cent were enrolling in English Language Intensive courses – both key strengths for CQUni. What does all this mean for us? And why does it mean myself and the International team are traversing Asia as we speak? Basically, CQUniversity has never been better placed to show off our strengths to prospective international students – our comprehensive curriculum, our industry partnerships and networks, and our commitment to social innovation and change.University leaders I’ve met this week have been very excited about CQUniversity’s growing reputation for social change, and the networks we have forged in pursuit of our social innovation strategy. Rapid social change has seen both China and India look for a new generation of changemakers, ready to tackle issues around environment, social inequity and growing opportunity, for their communities. China and India already represent our biggest international student cohorts at CQUniversity. And both nations have already been well-represented in social innovation activities across our campuses, including entering The Big Idea competition, attending the Social Innovation Studio in Gladstone, and gaining scholarships to attend the Ashoka U Exchange in Miami. The skills, knowledge and networks these participants have developed can only boost their employability, grow their perspective, and benefit their communities. Meanwhile, it’s not just international students that benefit from these experiences – working alongside our staff and domestic students, the exchange of diverse experience and international perspective is invaluable for all of us. Growing our partnerships with international institutions is key to ensuring the knowledge and experience exchange continues in both directions, and we all benefit from opportunities. It takes a strong soul to see overwhelming disadvantage and think, ‘I can do something’. To then spend 30 years making that something happen, I believe that is truly extraordinary. Yet Praveen Nair has achieved this and so much more since she began working with India’s street children, and has transformed countless lives in the process. 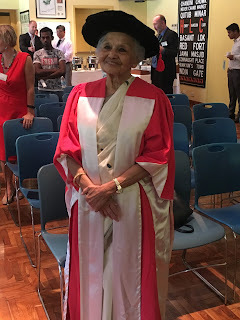 This week while in India, I have been privileged to confer an Honorary Doctorate of Social Innovation on Ms Nair, who founded Salaam Baalak Trust, and continues to serve as its chairperson and trustee. The relentless work of Ms Nair and SBT to drive life-changing opportunities for street children in India has been exceptional, and recognised both in her home country, and internationally. Originally a social worker, Ms Nair established SBT in 1988, to rehabilitate street children who acted in Salaam Bombay, a film directed by her daughter Mira Nair. And as Ms Nair grew her understanding of the many complex issues faced by street children across India’s cities, she expanded SBT’s mission. Working across a range of sectors, SBT ensures street children can grow up in safe and nurturing environments, with opportunities for education, creativity, and future employment. With many industry, business and social service partners, and innovating numerous income streams to support the not-for-profit organisation, Ms Nair has embodied the social innovation ethic, and proven it with Salaam Baalak Trust’s success. Now, SBT employs nearly 150 staff, and has worked with more than 50,000 children. 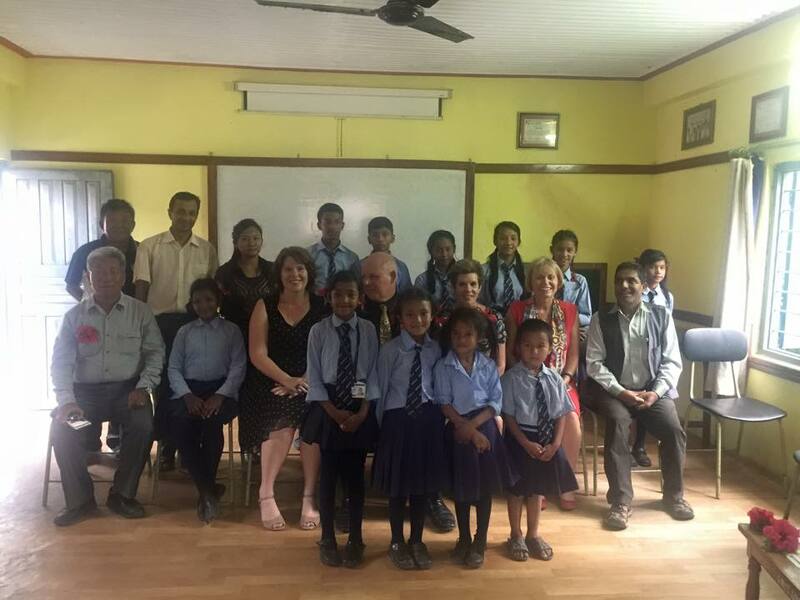 This visit marks the seventh year that CQUniversity has been partnering with Salaam Baalak Trust. Incredibly, 30 SBT graduates have now achieved Engineering degrees CQUniversity. I am particularly proud that CQUniversity also sponsors SBT’s City Walk – a guided tour through New Delhi slums, conducted by former street children who have grown up with SBT’s support. 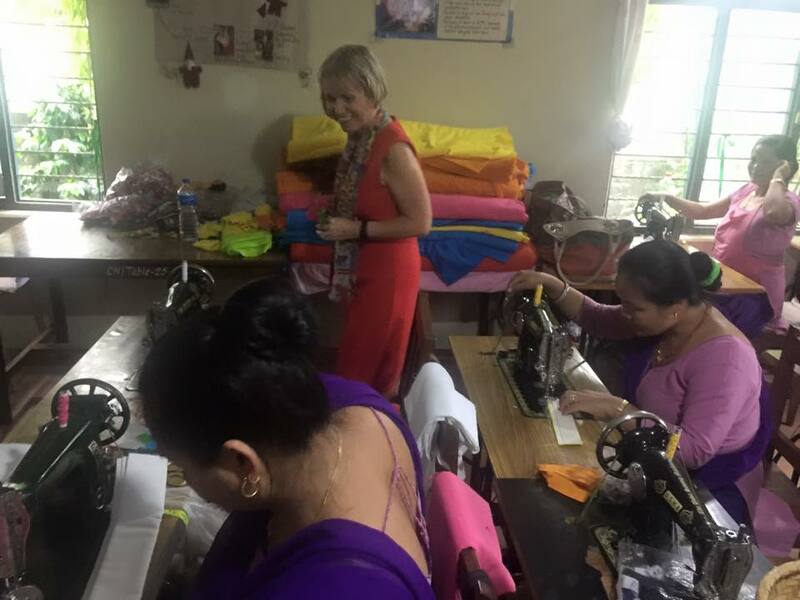 This initiative provides fundraising for SBT, an international showcase of the not-for-profit’s work, and skill development and earning opportunity for former street children – a shining example of successful social innovation. As CQUni grows our social innovation agenda, it is a perfect time to reinforce our partnership with SBT, and shine a spotlight on what Ms Nair and SBT has achieved. Next year will see SBT celebrate its 30th birthday, and it is as innovative today, as it was when Ms Nair and her co-founders first walked New Delhi’s dark streets, to truly understand what could help its street children. In those same three decades, CQUniversity has also grown, and in our own way transformed lives – not just for SBT graduates, but for thousands of our own students in Australia. With all our differences, to my mind the Salaam Baalak Trust and CQUniversity are a perfect match. And the many benefits of our partnership go in both directions. 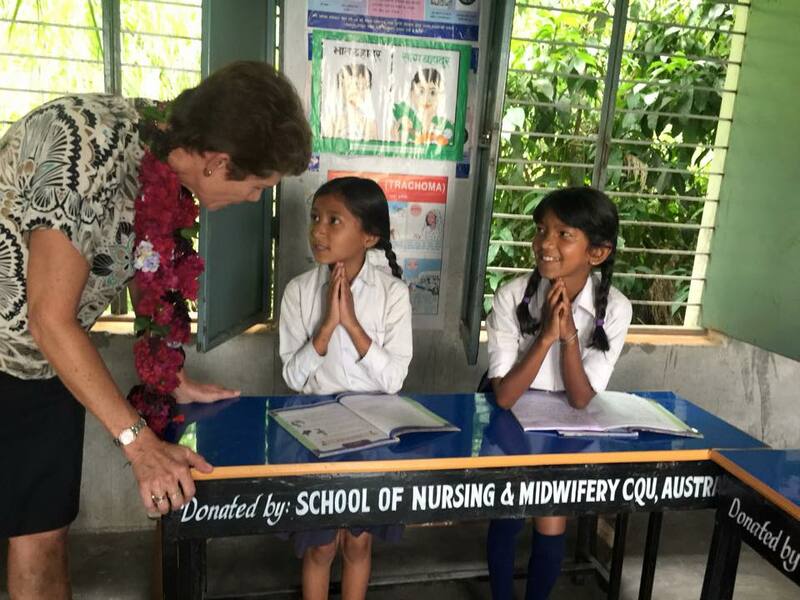 While our Engineering qualification has put SBT students in control of their lives and their careers, CQUniversity Nursing and Education students on placement in India have also learnt so much from their time working with SBT staff and children. And every member of the CQUniversity family should take inspiration from the vision and can-do attitude of Praveen Nair. Through social innovation, we are already achieving so much in all of our communities – and the story of Salaam Baalak Trust shows us how much more is possible.